No Ordinary Perry! Level 2 Construction Operations Completed! Background: Perry was previously studying Plumbing at college. 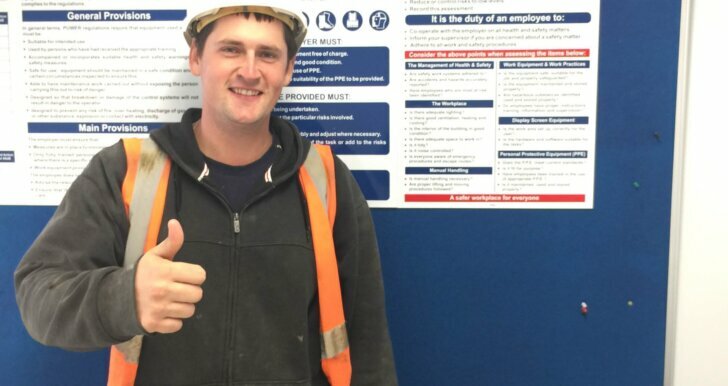 He originally did want to pursue a career in Plumbing but he struggled to find someone to employ him without the previous qualifications or site experience. He came across K10 and decided that the best way for him to get his foot in the door of construction and started on a Level 2 Construction Operations Apprenticeship in his home borough of Waltham Forest. During the Apprenticeship: Perry started his apprenticeship with Hill Partnerships on the Walthamstow Arcade however … ‘What I most enjoyed about my apprenticeship was the onsite experience I was able to get. 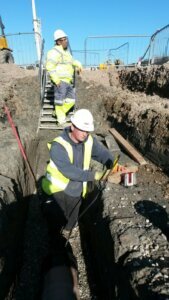 Being on the tools and learning first hand everything there was to know surrounding Construction Operations. I really did enjoy turning up to work in the morning and there was always a job to do. I was with M&H Construction on the Olympic Stadium where I had a really great time as an LLDC apprentice. 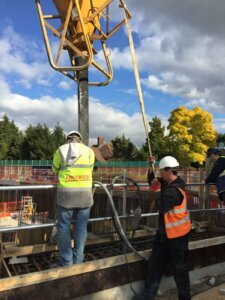 They had a lot of time for the apprentices, they threw us in at the deep end and it resulted in a really great way for us to learn. It was great. When I was on site with Andersons and Taylor Wimpey, I had such a brilliant time here, probably the best throughout my apprenticeship. I learnt a lot of my skills here and collected so much evidence for my college portfolio. We were left to work independently and that was such a great way for us to develop our skills and learn new ones.’ Perry’s hard work and dedication to his apprenticeship was evident as he won the prestigious LLDC Apprentice of the Year Award in 2016. 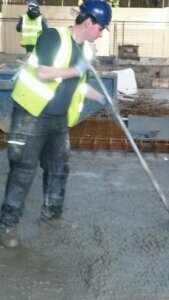 After the Apprenticeship: Perry completed his apprenticeship with Andersons and was taken on direct as a Groundworker with a starting salary that is triple his apprenticeship salary. We have since caught up with Perry and he has told us he is still with Anderson’s and his pay has since increased further. Great work Perry!